Hi everybody. I stayed with my family in Patong two weeks ago. We enjoyed very much. Next year July my daughter's family will come with two children, 10 and 6 years old. They, too like to stay at the sea with us. You're right, Patong isn't a particularly child friendly town. You are aware that Phuket Province is 576 sq km in size and Patong City covers just 16 sq km of that? Read this topic to get some ideas for children on the Island. 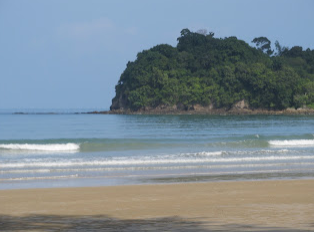 If, however, you have decided to go somewhere other than Phuket, you would be better served asking the question in the appropriate local forum or perhaps the general travel forum. 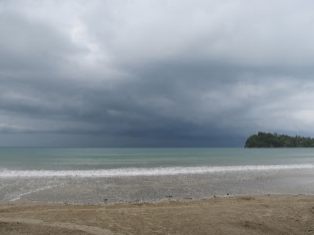 You might want to check-out Karon/Kata beaches. But ... July is not a good month to swim in the sea (waves and undercurrents), nice beaches but have everyone swim in the hotel pool. Really dangerous seas there in July. 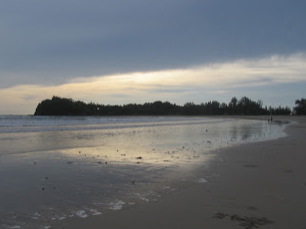 Op asked to play in the sea, you recommend khao lak, but don't know if it is suitable that time of year. I inform you it is not suitable, much worse sea conditions than most Phuket beaches, so you recommend him a swimming pool. Sorry, you're not making sense here. Koh Lanta. You will have the island to yourselves. 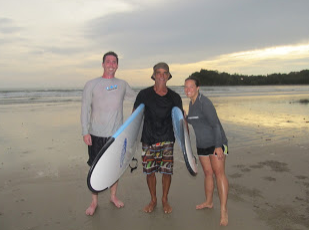 Lanta surf pics from June. Would strongly recommend Koh Samui. The area of Bophut has no "Girlie Bars" at all, lots of good restaurants and very close to the sea. If you PM me I can give you details of good quality, family friendly and inexpensive Resort. Ao Nang would be my suggestion for the kids.